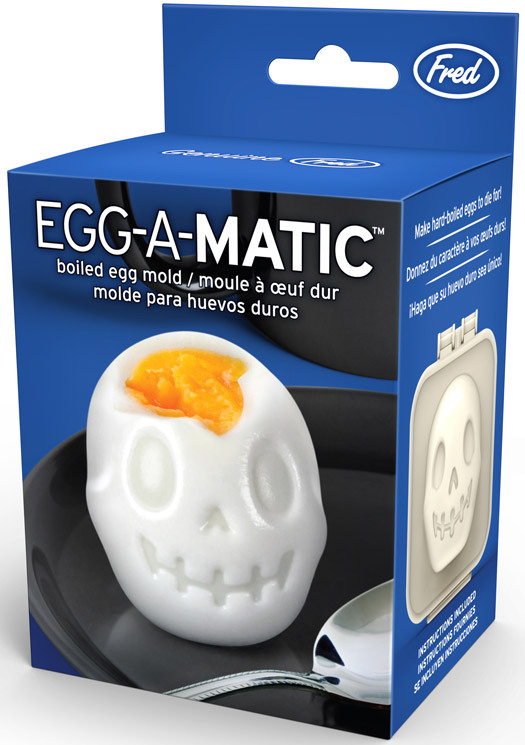 Our devilishly fun Egg-a-matic Skull Egg Mold is designed to leave them screaming for more! 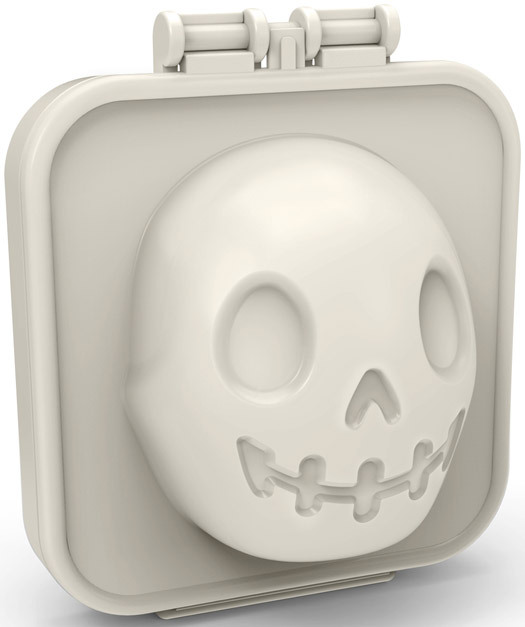 This grinning skull mold is super fun and easy to use. 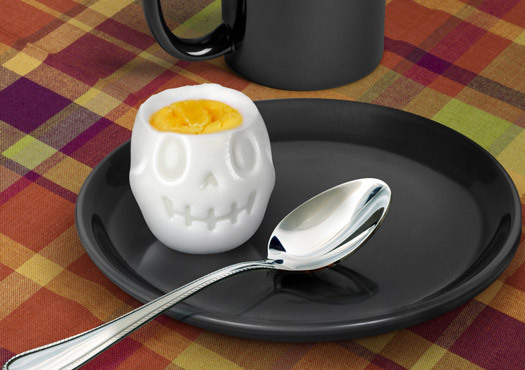 It will be a cinch to make hard-boiled eggs to die for! 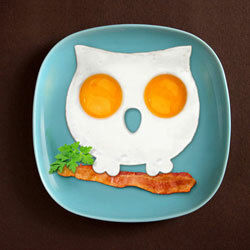 Just place a freshly cooked and peeled hard boiled egg in the mold while its still hot and snap the lid shut. 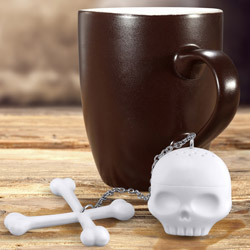 Then dunk the mold in ice cold water for a few minutes. 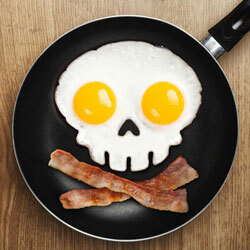 What you're left with is an egg-stra-ordinarily ghoulish edible work of art! 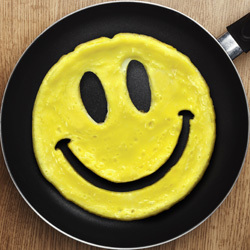 Kids of all ages will love making and eating these eggs!